40 of the world's most impressive "second cities"
THE BIGGEST CITY in a country always seems to get the most attention, and while tourists flock in droves to these “first cities,” it takes a traveler with a slightly different agenda to skip them (and thereby many of the iconic sites the country is known for) and head to the second cities instead. The world’s second cities, many of which are capitals and almost all of which are ports, can make for a much more authentic and perhaps even more culturally meaningful experience. Here are 40 cities that prove that being the second largest does not necessarily mean they’re second in importance. Yokohama is home to 3.7 million people (second to Tokyo’s 13 million people) and the second largest suburb in the world, behind Taiwan’s New Taipei (as of shortly after Christmas, 2010). A humble fishing village during feudal times, today it is the hub for Nissan Motor Company and several major Japanese technology and shipping conglomerates. 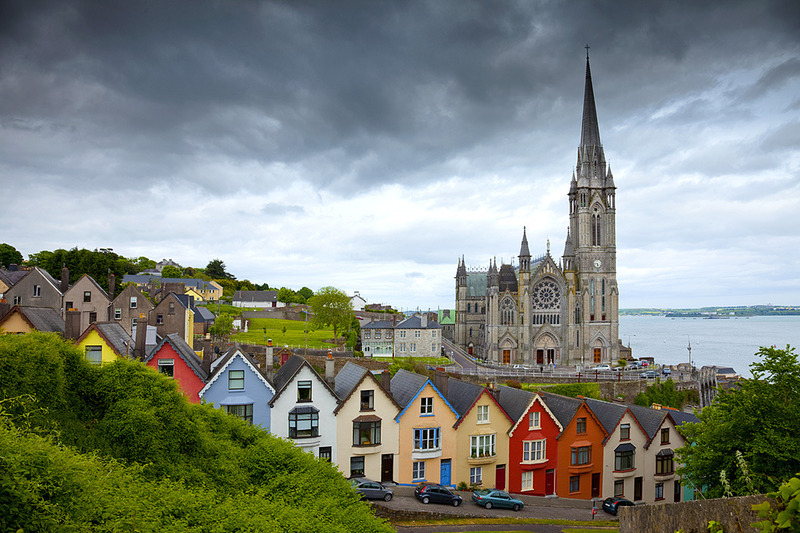 At 119,230 people over 14.4 square miles, Cork may not be the biggest second city on the list, but with a nickname like “The Rebel City” it might be one of the most badass. The city has quite a variety traditions, including special ways to prepare what some Westerners might view as leftover waste from the butchering process, such boiled pigs feet (crubeens), and intestines paired with blood sausage (tripe and drisheen). The fifth largest city of the Nordic countries, Gothenburg, Sweden, is home to over half a million people and one of the largest football tournaments in the world, the Gothia Cup. As a “gamma” level global city, it has earned its place on the world stage for its advantageous trade location, noteworthy manufacturing industry, and innovation (ranked 12th worldwide by Forbes, 2013). Second to Istanbul, Ankara isTurkey’s capital and has a population of almost 4.5 million people. It's also famous for a number of native species and their products, including mohair from the long-haired Angora goat, fur from Angora rabbits, Muscat grapes, and the Turkish Angora cat. On the western coast of Norway, 278,000 people form the city of Bergen. It is one of Norway and Europe’s key ports for tourism, given its proximity and access to the famous fjords of the region. Recently, Bergen has become well known as the “street art capital of Norway;” the city council has begun protecting key pieces of art with protective glass and plans to be a leader and stronghold for that particular form of media by 2015. True to form, Rotterdam, the second largest city in the Netherlands, behind Amsterdam at 618,467 people, is also a port. In fact, its location as the travel and trade nexus of the continent has earned it the nickname “Gateway to Europe.” Rotterdam is also home to the Erasmus University Rotterdam of international acclaim, with its business courses ranking in the top 10 both in Europe and worldwide. 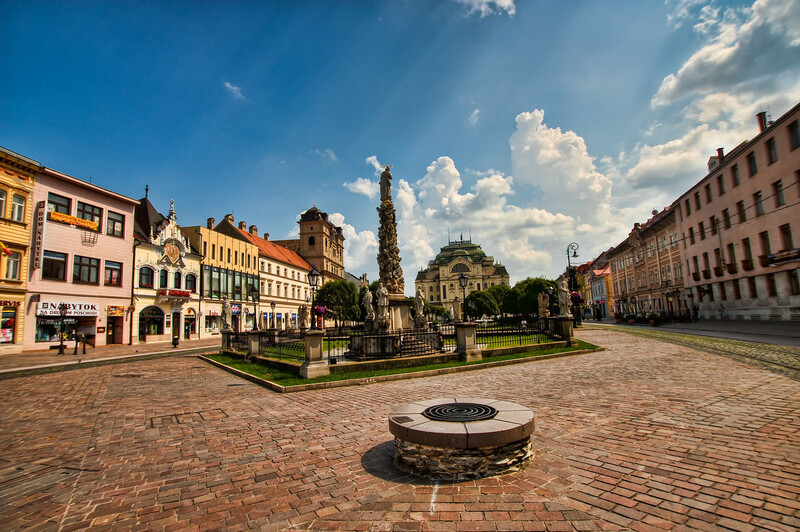 Sharing the 2013 “Cultural Capital of Europe” title with Marseille, Kosice might be the most epic little city you’ve never heard of. The 241,000 inhabitants celebrate this new-found title, earned through the introduction of a “creative economy” based on the fusion of an industrial economy with arts and culture and placing a key emphasis on sustainability (starting with the repurposing of defunct spaces for creative industry). It seems like the only South Korean city we’re hearing about these days is Seoul, but as the largest port city in South Korea, and home to 3.6 million people, Busan should at least get to share some of the spotlight. Plus, it’s home to the famous 7.5-mile Haeundae Beach, as well as the world’s largest department store. Dating back to the 7th century, Krakow is one of the oldest cities in Poland in addition to being its second largest (at 758,334 people as of the end of 2012). Dubbed the “European Capital of Culture” by the EU in 2000, the country takes great pride in its art events and collections, orchestras, and host of famous theaters for the performing arts (including the goliath Juliusz Słowacki Theatre). As the capital city of Ecuador, Quito is home to 2,671,191 people as of 2014 (considerably behind the 3.75 million people of Guayaquil). 9,350 feet above sea level, Quito stands as the world’s highest official capital city, and the historic center there was one of the world’s first UNESCO cultural heritage sites. London, Paris, Milan—the trio of famous European fashion footholds of which Milan stands out as the only second city. With a population of 1.3 million, Milan’s influence in industry, fashion, design, commerce, and world finance has made it a key “global city,” with far-reaching impact throughout the world. Milan also sees over 6 million tourists a year, with many flocking to the Santa Maria Delle Grazie to view the variety of Leonardo Da Vinci murals, including the original "Last Supper." 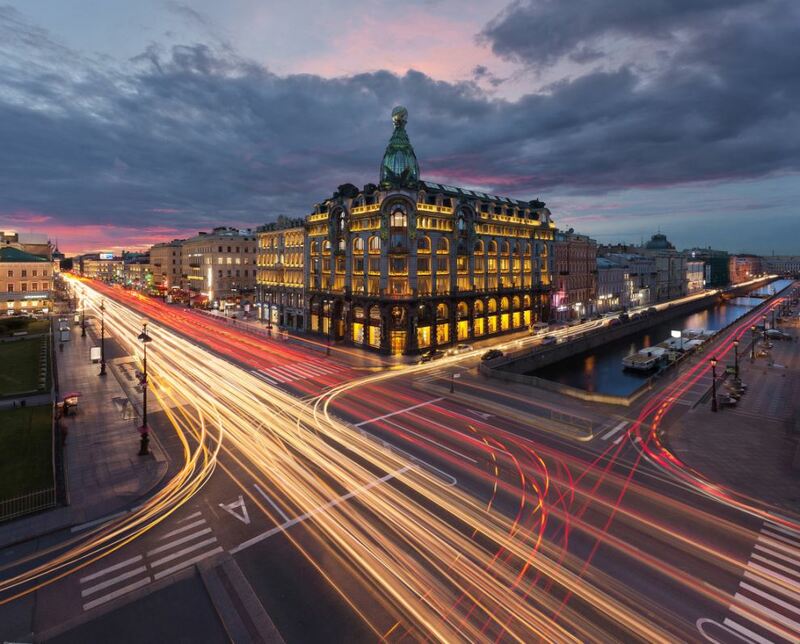 At nearly 5 million inhabitants, St. Petersburg is the northernmost large city in the world, and one of the largest cities on this list, though still smaller than Moscow. As Tsar Peter the Great’s cultural capital of Russia, St. Petersburg is home to 221 museums, 80 theaters, 2,000 libraries, dozens of historical buildings, 45 galleries, and hundreds of festivals, making it an incredibly attractive tourist destination. With a population of 4,347,995 (just behind Sydney’s 4,757,083 as of 2013), Melbourne may not be the most populous city in Australia, but it has ranked among the top three most livable cities in the world every year for over a decade. As Australia’s financial powerhouse, Melbourne also ties Oslo as the world’s fourth most expensive city to live in. Sometimes called “Australia’s cultural capital,” it is a hub for arts, music, sports, and dance (and is the birthplace of my personal favorite dance, the Melbourne Shuffle). The capital of the UAE, Abu Dhabi is located on the Persian Gulf and has a population of 921,000 as of 2013. As a world-titan of the oil and natural gas industries (9% and 5% of the world’s supply, respectively), it is considered one of the richest. Also known as the “City of Jasmine,” Damascus is considered one of the oldest cities to have remained continuously inhabited since its founding, between 2000-1000 BC. Today, at 1,711,000 inhabitants strong, Damascus is home to an annual international trade exposition and the only stock exchange in Syria, a testament to its financial power and relevance. Founded in 1613, Cordoba, located in the middle of Argentina, is home to some of the oldest buildings in the country (with the majority in the UNESCO world-heritage Jesuit Block and dating to the 17th century). With a population of just over 1.3 million, Cordoba’s six universities and host of graduate schools makes it a key hub for higher education in Argentina. Both the second most populated, and second most important industrial manufacturing site in South Africa behind Johannesburg, Durban sets itself apart for being the largest port in South Africa. It's home to about 600,000 people as well as several major tourist attractions, including the Golden Mile, a mile of beach stretching from uShaka Marine World in South Beach, to Suncoast Casino and Entertainment World. The eighth largest city in the EU, Hamburg has a population of over 1.8 million and is home to the Port of Hamburg on the Elbe, the second largest port in Europe and tenth largest in the world. Hamburg has the highest GDP in Germany, with a significant fraction of that coming from tourism to the city, an industry which brings in 9.3 billion euros and employs almost 200,000 people. Hamburg recently fell from 10th (2010) to 17th (2012) most livable city in the world, which is measured by the Mercer Quality of Living Survey. Marseille is the largest French city on the Mediterranean coast and historically has been France’s most significant shipping port. At a current population of 853,000, Marseille is dwarfed by the 2.3 million people of Paris, but it has a history that stretches back centuries before Paris conceivably existed (with cave paintings in the region dating back to 27,000-19,000 BC, compared to 9000-7500 BC—the oldest ruins found in Paris). Today Marseille is a major tourism hub for France, drawing 4.1 million visitors in 2012. With only 1.5 million people compared to the 8 million living in Mexico City, Guadalajara has managed to maintain strong ties to its heritage and traditions (such as mariachi) making it a key site for cultural tourism. Located on the western side of Mexico, Guadalajara is one of the few to make this list as a leader of industry without being a major port city. It should be no surprise that Beijing makes this list. At a whopping 21,150,000 inhabitants as of 2013, Beijing is not only the second largest city in China (behind Shanghai’s 24 million) but one of the largest cities in the world. With a rich history spanning 3,000 years, today Beijing stands as the last of the Seven Ancient Capitals of China, and is the political, cultural, and educational heart of China. Though it is the second largest city in Egypt (behind Cairo), Alexandria is the largest coastal city on the Mediterranean, which has allowed it to function as one of the most prosperous shipping and trade ports in history. Founded in 331 BC by Alexander the Great, it was also the second most powerful city in Antiquity (behind Rome). Today, Alexandria is home to 4,546,231 people, and still processes more than three-quarters of Egypt’s imports and exports. Of the 1,255,720,200 people currently living in India, about 11 million of them live in Delhi. Yet, the rapid expansion seen throughout India and specifically in Delhi has led the census to estimate that Delhi will soon surpass Mumbai as India’s first city, while India grows to surpass China as the world’s most populous country (which the UN suspects will occur in 2028). With a strong history as several-time capital of India’s various empires, the city is peppered with over 1,375 historic buildings, sites, and monuments. At a population of just over half a million, Antwerp isn't even a third as populated as its sister-city Brussels, though it's almost half as big by area. The city gets its name from Antwerpen, which loosely translates to “to throw a hand.” As local legend has it, the giant Antigoon monitored the passage between the banks of the Scheldt River and, as penance for refusing to pay his toll, he would remove a hand from travelers who didn’t pay and toss them into the river. The mythic hero Brabo killed Antigoon and took one of his hands and tossed it ceremoniously into the water. The city is so proud of this folkloric heritage that a huge statue commemorating the event (featuring a guy throwing a severed hand) stands in front of the town hall. The most populous city in the state of California, and second most in the United States, LA has a population of nearly 4 million. 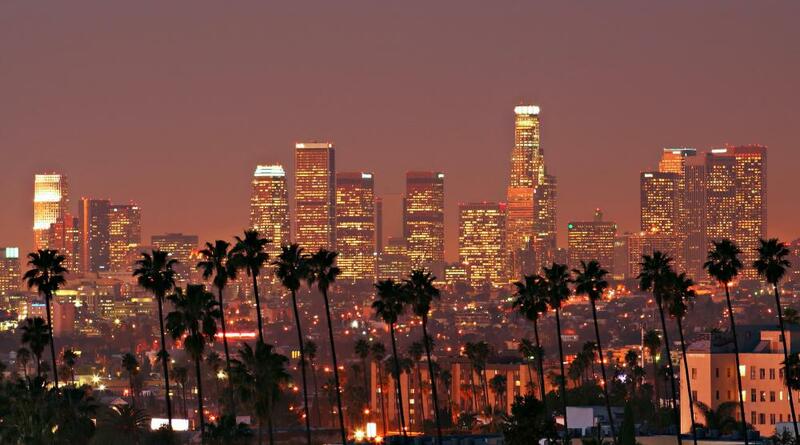 An entertainment capital of the country and the world, Los Angeles is home to Hollywood and a hub for numerous film, television, and music production companies. Aarhus, on the east coast of Denmark, is the seat of the council and main port for the region, and has over 1.2 million people living in its metropolitan area. The oldest city in Scandinavia, artifacts have been found in Aarhus that date back to 770-948 AD. A key historical stronghold for Viking people, the city’s location near Germany and the Baltic countries made it a prosperous trading center, and today it is home to one of the largest harbors for industrial container shipping in Northern Europe. Due to its collection of Bauhaus buildings, the White City in Tel Aviv was crowned a UNESCO World Heritage Site in 2003 and is a hub for arts, culture, and nightlife in Israel. Ranking highly on such lists as Lonely Planet’s “Hottest Cities for 2011,” and National Geographic’s “Best Beach Cities in the World” (placing 3rd and 9th, respectively), Tel Aviv is not only home to 414,600 people, but also to one of the most incredible fountains. Created by kinetic artist Yaacov Agam, “Fire and Water” is an icon the city is quite proud of. Practically the headquarters of the United Nations, Geneva is the quintessential global city, history’s home to international politics. The 194,458 people living in Geneva enjoy the third best quality of life worldwide, which is probably due to the fact that Geneva ranks as the ninth most significant competitive financial center. Founded in 1010, Hanoi (Vietnam’s current capital) is located on the Red River and home to 2.6 million people. Today, Hanoi is a bustling metropolis, with over 100 skyscrapers that each tower above 300 feet, and has made its name as a major tourist destination as one of the cheapest cities in the world for a short stay. With the largest GDP in Quebec, and the second largest in Canada, Montreal is a powerhouse of a second city. Named after the tri-peaked Mount Royal at the center of the city, its 1,649,519 inhabitants make this the eighth largest city in North America. In the heart of one of the northernmost valleys in the Andes live the 2.4 million people of Medellin. Recently, Medellin was put on the map in a 2012 nomination for Most Innovative City of the Year, for advances in public transit (including a bike-share program and green improvements to the metro system), the addition of the España Library and Moravia cultural center, and the world’s longest outdoor escalator. While Metro Manila is certainly the population hub of the country, Manila itself technically only contains 1.7 million people, ranking it second to Quezon City. As one of the most densely populated cities in the world, Manila is also unfortunately one of the most heavily polluted. With an excess of automobiles and improperly disposed of industrial waste, over 4,000 of Manila’s residents die annually as a result of air pollution, and several rivers in the area are now devoid of life. With a population of just 861,000, Arequipa lags behind Lima's millions. The historic district is a UNESCO World Heritage Site and is instrumental in drawing tourists to the city. Both second most populated city in NZ and the southernmost capital city in the world, Wellington is also one of the most densely populated cities in the country (at about 400,000 inhabitants). In spite of this, it ranks 12th in the world for livability. Wellington is also the chief governmental center of New Zealand and is the main location for the New Zealand parliament, foreign diplomats, and embassies. Despite its 1.6 million native inhabitants, Barcelona is a tourist city, seeing several million annually, which puts it on the map as the 10th most visited city in the world. Yet, unsatisfied, Barcelona has been working to become a fashion capital of the world as well, and finally achieved the title as third most important capital in fashion as of 2012, based on the assessment by Global Language Monitor. Continuing the trend of “large port makes for strong economy and great second city,” Mombasa, today at 1.2 million people, is one of Kenya’s major cultural and economic powerhouses, and a key center for tourism. Fun fact: As of 2008, Mombasa and Honolulu are now considered sister cities. The 1,495,200 inhabitants of La Tierra Del Sol Amada (Maracaibo’s nickname, translating to “the beloved land of the sun”) enjoy year-round temperatures in the 90s, making it one of the hottest cities in Venezuela. It's the birthplace of “Gaita” folk music—the name, which translates to “goat,” may stem from the type of animal skin used to make the furro instrument.